Desert Super Sitters was founded in 2011 by desert native Christina Ellwood. Christina has worked within the Early Childhood Education industry throughout the Coachella Valley for 15 years. During this time she has developed relationships with education professional who have become the depended network for Desert Super sItters. She prides herself on offering the very best sitters our community has to offer who are selected based on referrals and high standards. Desert Super Sitters currently offers 25 sitters, each sitter able to accommodate the specific needs of each individual family they serve. We proudly serve over 100 locations from Palm Springs, to Indio, and now Joshua Tree. 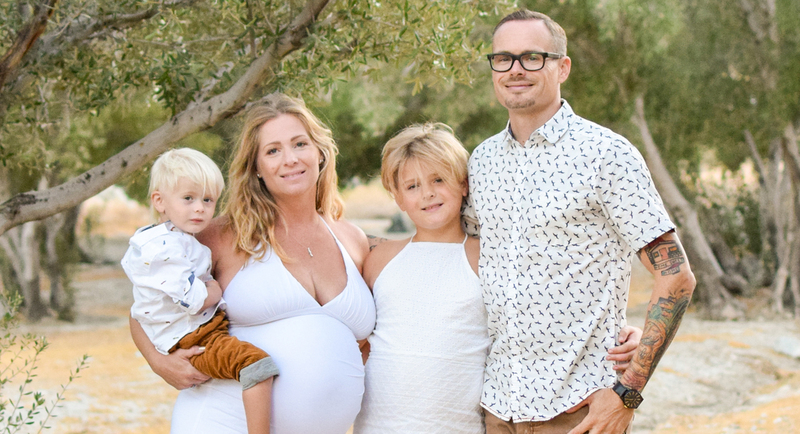 Christina Ellwood spends most of her time caring for her husband, Michael Slate, daughter Starr Slate, and son Stephen Lee. She began her journey long before her family in 1997 when she was invited by her church to become a preschool teacher for a class of three-year-old children. In her first year, she discovered a natural gift of teaching and a passion for children. Since then she has obtained a degree in Early Care and Education, studied many different educational philosophies throughout Seattle, Washington, and California as well as held professional positions including co-directing a local preschool, and owner of Organic Childcare. Along the way, she signed up with a local babysitting agency and began providing babysitting services for local hotels. She discovered there was a demand for younger, educated babysitters who could provide the basics of safety and responsibility but also have energy and ideas to create experiences for children. Desert super sitters were established and continue to grow and develop as the leading on-call childcare agency throughout Palm Springs and surrounding areas. All professional babysitters are Childcare professionals selected based on critical guidelines and high standards. The babysitters listed with our agency are selected from local child development centers, community children’s organizations, and local colleges. The founder of Desert Super Sitters has developed relationships with professionals in the field of early care and education having access to the most qualified babysitters. We offer the highest quality on-call babysitting and Childcare Services throughout Palm Springs and Desert Cities. 80% of our sitters are veteran sitters who have provided care for 100’s of families since 2011. New sitters are referred by industry professionals based on very high standards. All of our sitters are, over the age of 18 years old, and have worked with children in a professional capacity, understand “best practice” principles, and understand the importance of providing a compassionate, trustworthy experience.